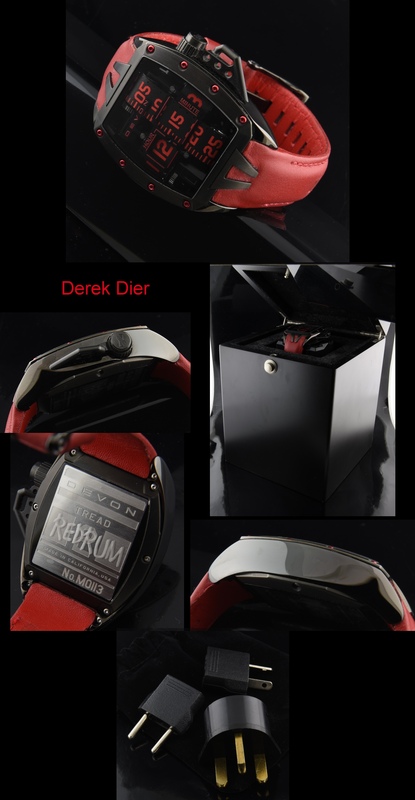 The Devon Tread Murder Redrum is a California based company that truly came up with a new idea for keeping time. The nylon belts are electronically controlled to change the time readout. This watch was worn only a few times and looks pristine. All box, papers and accoutrements are included. 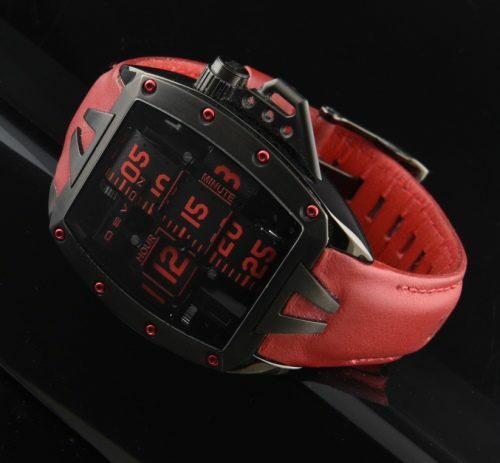 Leather strap.002” thick fiberglass-reinforced Nylon Time Belts. Lithium-polymer rechargeable battery lasts up to two weeks on a single charge.